I really waffled between 3 and 4 stars, and in the end gave it the benefit of the doubt and went with the higher rating. Libby takes a while to warm up to. She's described as being bubbly and looking at the world through rose colored glasses, but I initially found her incredibly selfish. However, it's just a matter of perspective when measured against her husband, Tom's selfishness. 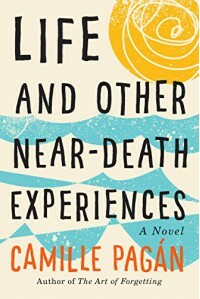 Ms. Pagan does a good job of taking a very serious subject (a very rare and especially aggressive form of cancer) and infusing it with humor to give us an enjoyable and highly readable story. In fact, that's probably what kept me from liking it more: it was too light for the subject matter. But the thing that bothered me most about this book is that I wanted Tom to suffer more. Oh, how I wanted him to suffer. Because in the end, the Libby I had initially though so selfish let him off easy. I wanted him to be incapacitated by guilt.